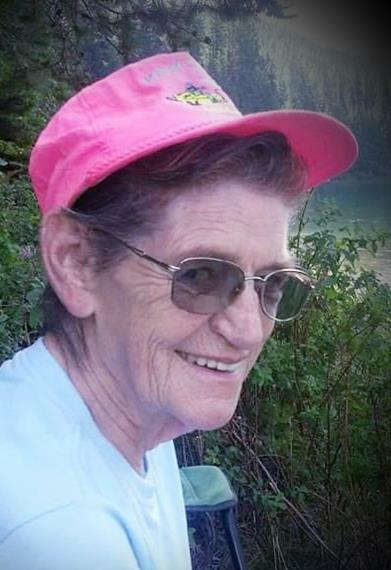 Mary Elizabeth Auge, 83, passed in her sleep Sunday, January 13, 2019 in Libby after a brief illness. She was born May 3rd, 1935 in Grand Rond, Oregon to Albert and Thelma Smith. She's preceded in death by her parents and a brother Samuel Smith. Mary was an active volunteer of the American Legion and was always willing to lend a hand when needed. She enjoyed anything to do with the outdoors, whether it be fishing, hunting or just a nice long ride. She felt her best in nature; she also enjoyed gardening, cooking, canning, sewing and reading westerns. She loved to visit with family, friends and was always quick with a joke or a witty comeback. Mary had a passion for music ever since she was a child, she never learned to read music but was able to hear a song and play it back on the piano. She was particularly fond of singing and looked forward to karaoke nights. Mary is survived by her life partner Eddy Dawson, Libby; sons, Art Highland and wife Leonna, Oregon; Mike Highland, Eureka; daughters, Linda Vandeveer, Polson; Marlene Cassidy, Indiana; 8 grandchildren and 28 great grandchildren. She will be greatly missed. A Celebration of life will be held at the Libby American legion Saturday January 19th at 1:00 pm. Arrangements are by Schnackenberg Funeral Home in Libby. Online condolences and memories may be shared at www.schnackenbergfh.com.